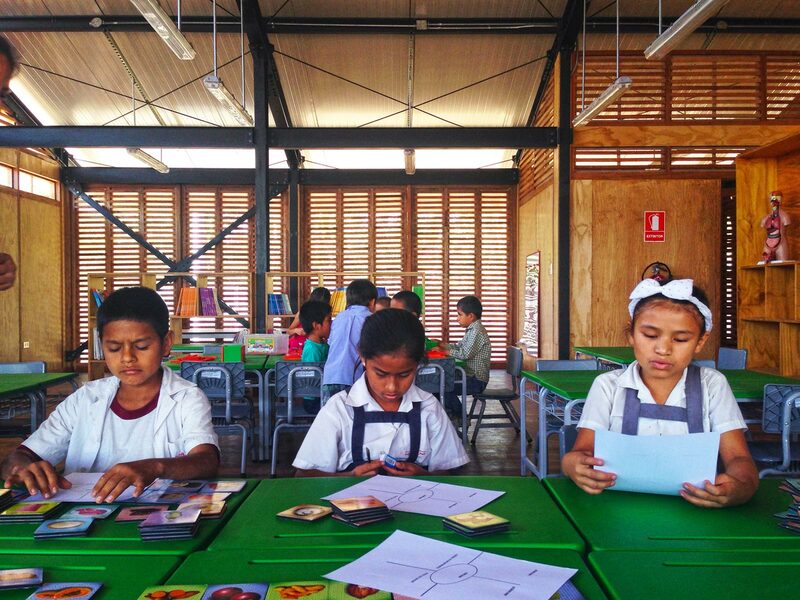 Plan Selva is an ambitious, innovative plan by the Peruvian Ministry of Education. 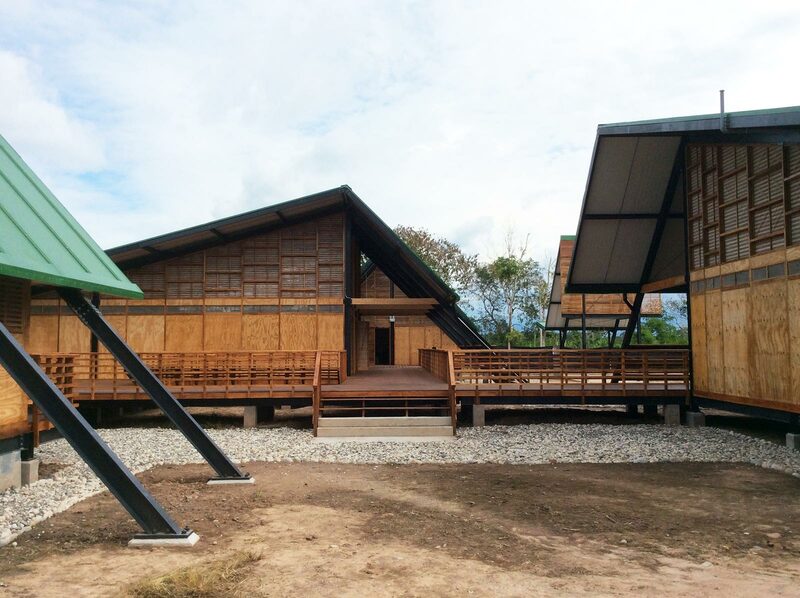 It uses architecture to restore dignity to a historically relegated indigenous population by building schools and bringing quality education to Peru’s remote jungle regions. 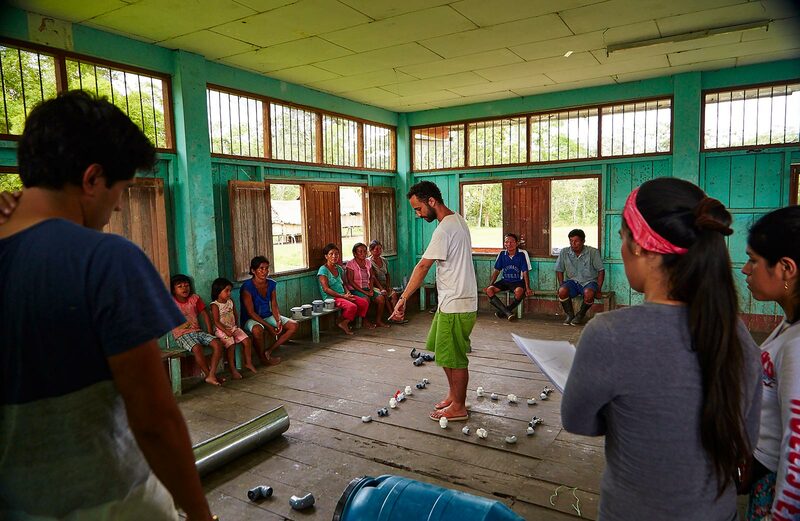 The goal is to empower indigenous children to cultivate their tribal knowledge and live productively in the Amazon; leaving their culture and the forest intact. 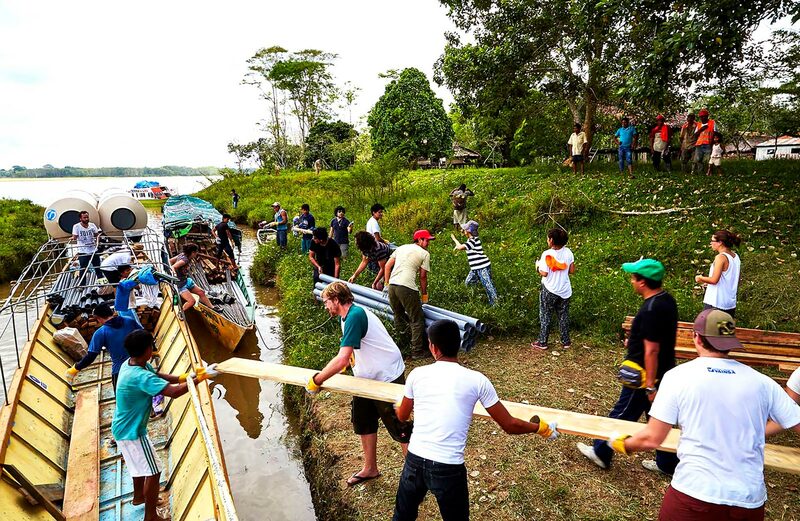 To give an example, today outside scientists travel to the Amazon to tap local knowledge for medicinal cures for diseases such as cancer. The hope is that by developing quality schools, the indigenous people themselves will become the scientists and bring their knowledge of folk medicine to the world. The Amazon regions occupy 61% of Peru’s land, yet are inhabited by only 10% of the population. Due to a chronic lack of investment and development, children of the area have few options for schooling, heightening the historical divisions of race, class and geography. 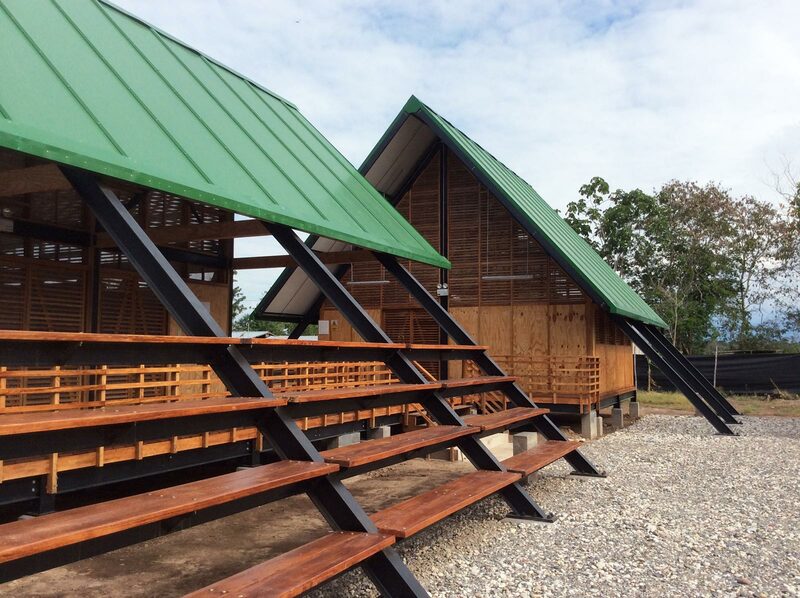 More than half the schools in the Amazonian territory need major repairs or replacement and the government actually has no data at all for 4,000 schools that lie along the border. The Peruvian Amazon has some of the most difficult terrain in the world, and parts of this jungle are hardest to access. 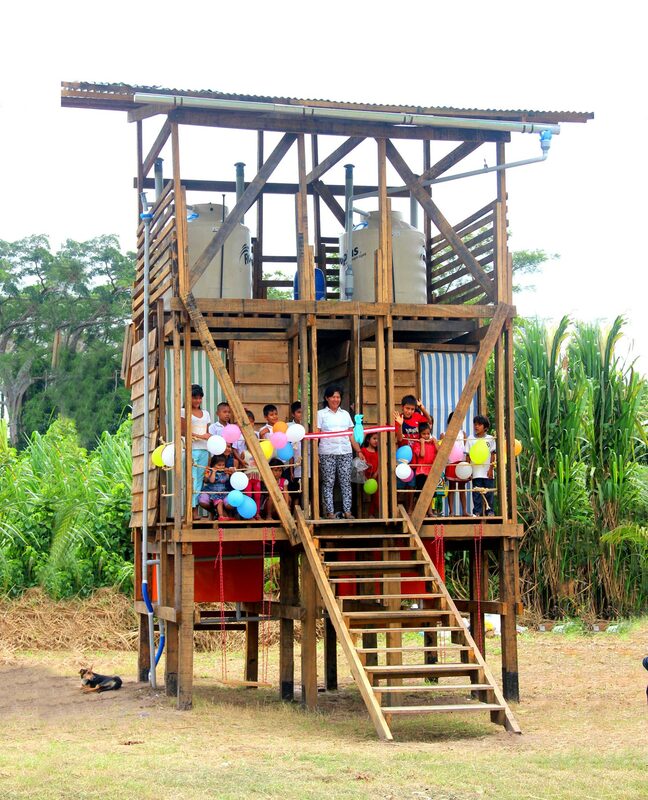 To ensure the school buildings would be appropriate to their conditions, a participatory design process was used. For example, each site demands individualized, adaptable design. 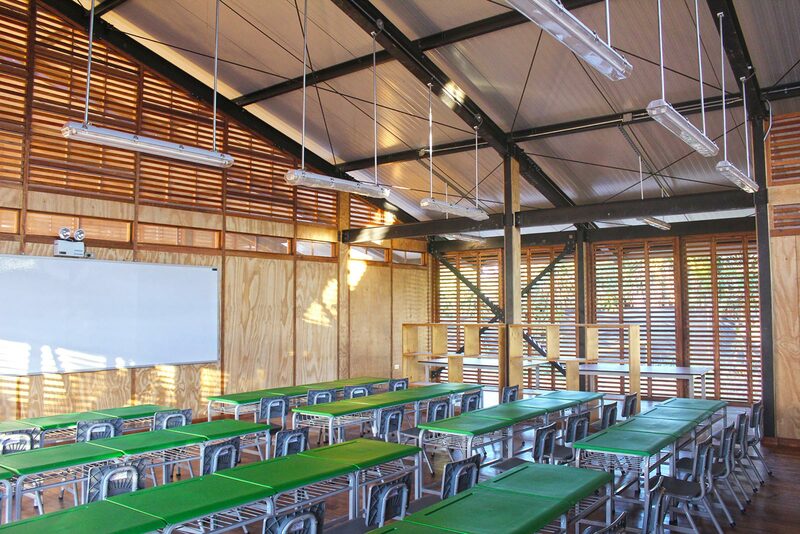 To address this, the basis of the school designs are modular; replicable and scalable depending on the needs of a specific site. 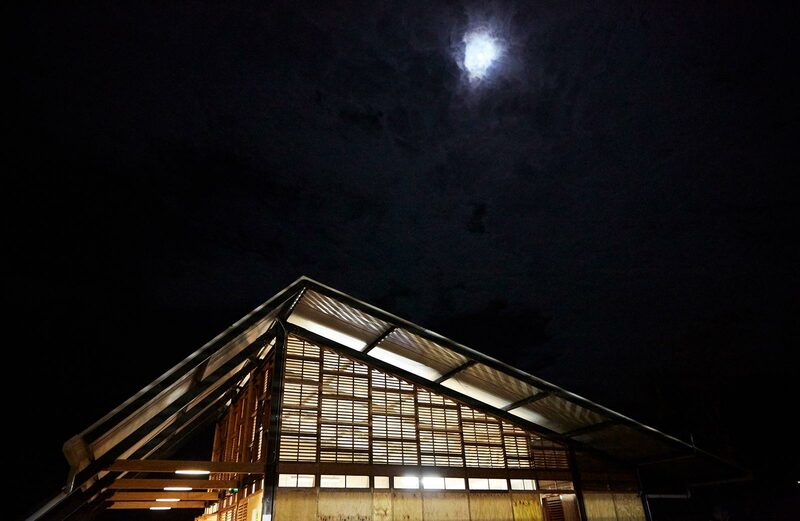 The materials take sustainability into consideration. 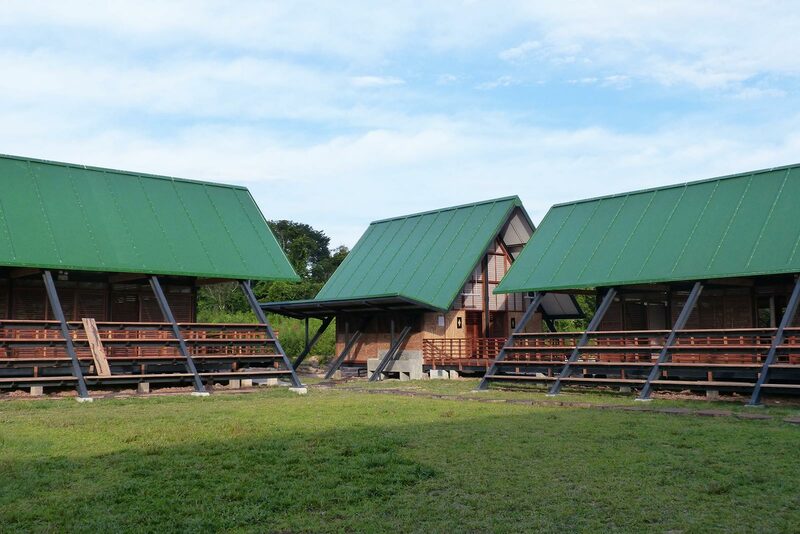 For example, the buildings are framed in metal rather than wood to protect local resources. 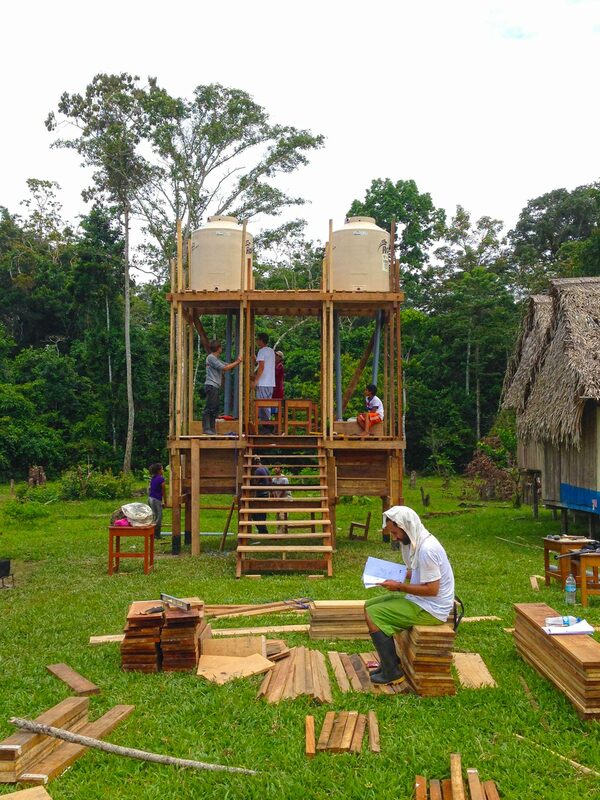 Because of the remoteness of the terrain, many contractors will not work in these areas, so the Plan Selva approach has also been designed to utilize local labor and allow for self-building. 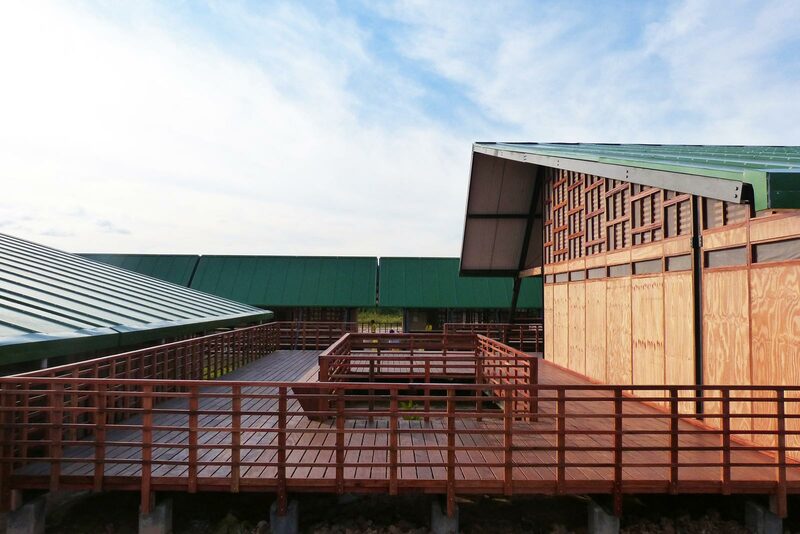 Beyond the building design, the curriculum and staffing are developed to minimize the imposition of Western standards, allowing the culture to remain as intact as possible. Classes are taught in local languages, of which there are forty-four and government teachers are supplemented with local shaman. 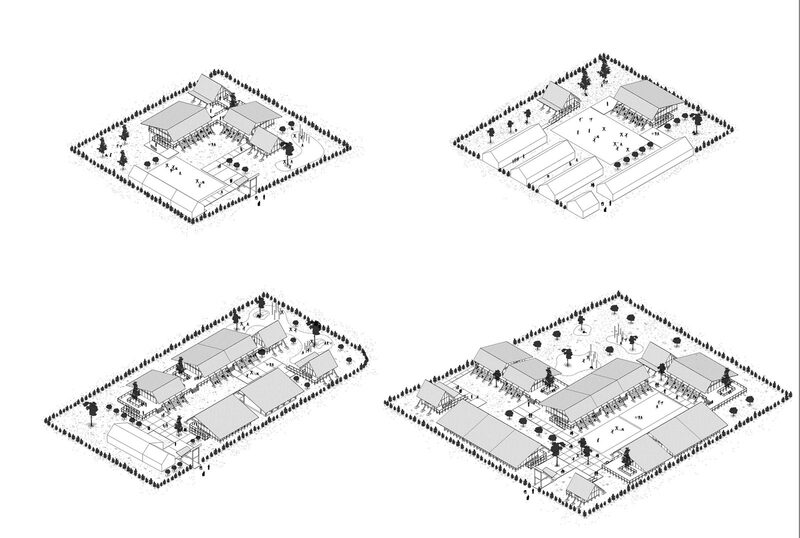 Plan Selva is an example of how to address the challenge of internally neglected communities; national commitment and good design can overcome decades of disinvestment.